Any event we are involved with will be handled in the highest professional manner. 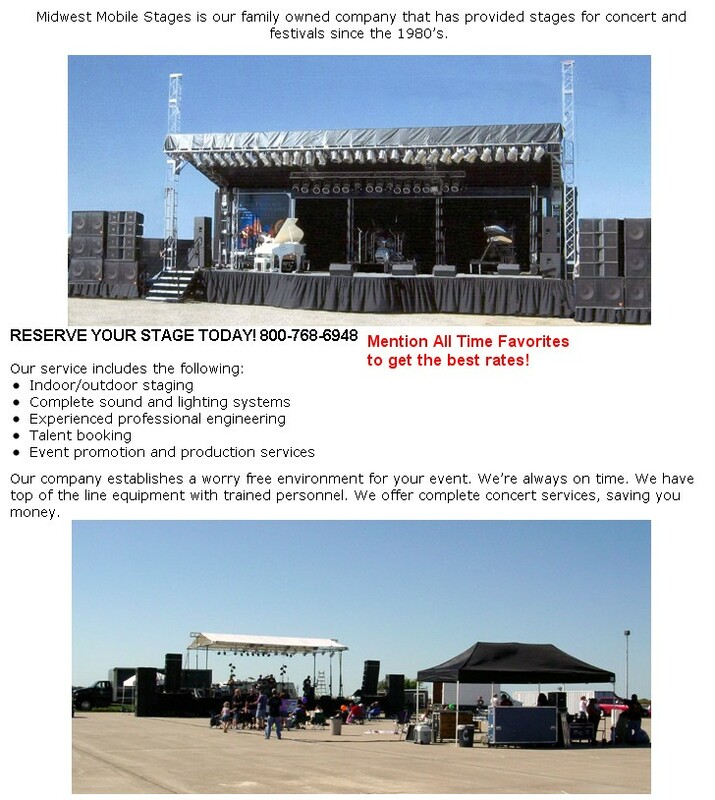 We provide only high quality equipment and staging for rentals and events. 100 PERCENT Customer satisfaction is our goal. Anything else is not acceptable. About: We have been serving the entertainment industry for over 20 years. We have production for all sizes of events. Prices vary in accordance to the event needs and travel expences. We feel our prices are very competitive. Please contact us at 800-768-6948 to discuss you needs. We have been serving the entertainment industry for over 20 years..